According to the annual American Communities Survey conducted by the US Census, Seattle is in the number two spot among major US cities for those who travel to work by bike in 2010. From 2009 to 2010, the amount of cyclists commuting to work increased by 22 percent. Even more significantly, from 2000 to 2010, it increased 93 percent. There were 70 large US cities ranked on the survey, Portland ranking as number one. Among most major cities across the nation, bicycling to work is on the increase. However, the national average actually went down from 0.55 percent to 0.53 percent. Minneapolis is among the many cities that are wondering why the amount of people biking to work has decreased. Washington DC rose to the number 5 spot after creating a successful bike share program last year, with a 44 percent increase. However, if you are a Seattleite, you’re probably not too thrilled about that ranking considering the amount of bicycle accident fatalities we have seen throughout the year. While we have many people biking to work and transporting more sustainably, we also have many cyclists getting hit by cars. In fact, just last week, a press conference was scheduled due to the amount of recent traffic fatalities in the area. The Seattle community was invited to come together to hear from community leaders in order to address these issues. There have already been 12 fatal bicycle accidents in Washington State this year, most of which were in the Seattle area throughout the summer months. 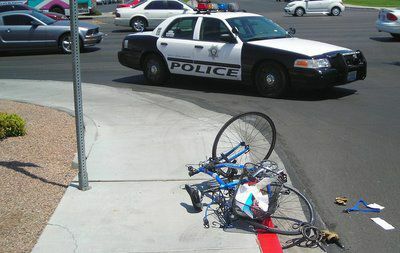 Just two weeks ago, two bicyclists died in collisions with motor vehicles. While Seattle’s bicycling numbers are up – so are the fatalities. Should Seattle be celebrating this ranking while others are mourning the many bicycle tragedies?